Time to get those glutes working before swimsuit season! We know, how can we even begin to think about the summertime while it’s been unusually raining so often here in the city? Well when you specifically move here to get away from any traces of weather beyond sunshine, it’s quite easy actually. The city is full of secrets and, perspectively, hidden stairwells. If you’re looking for a way to reach 2019 fitness goals that don’t require you spending hours inside a gym, then we’ve got you covered! Work out, spend some much needed time with Mother Nature all while exploring the city! 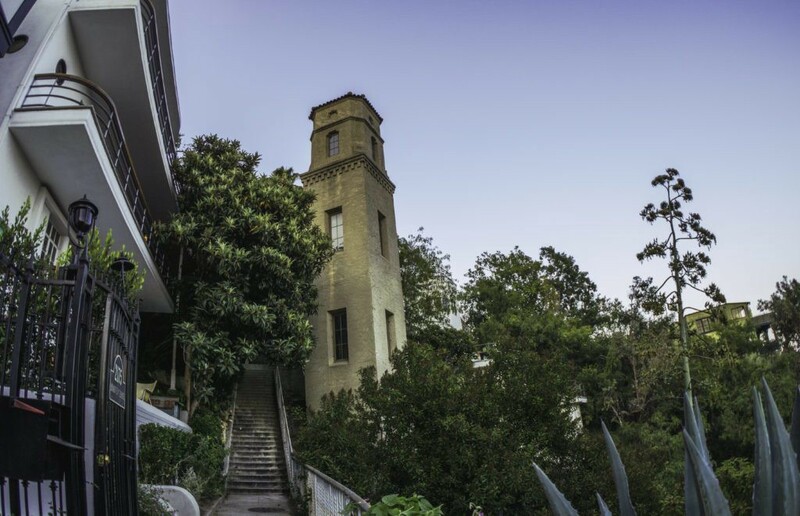 Check out our list of the 5 secret stairwells to climb in Los Angeles. Run up the wooden stairs, down the concrete, or vice versa! These two stairways are each equal to climbing around eight flights of stairs and are accompanied by nice greeny and an ocean breeze. Location: 699 Adelaide DrSanta Monica, CA 90402. Between 4th & 7th St. See it on Google maps! 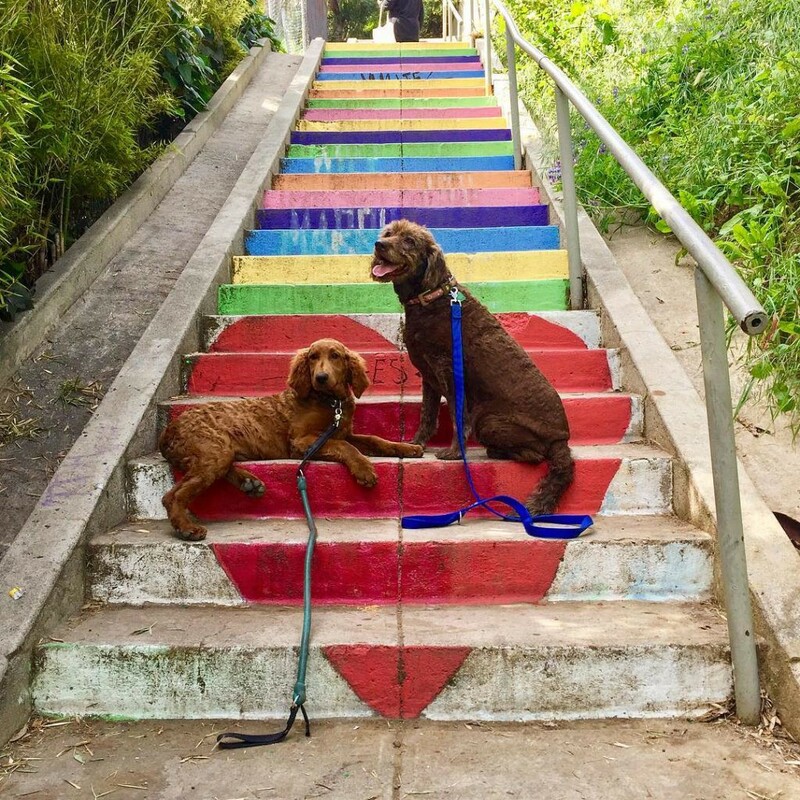 Fun fact: these stairs are named after in honor of gay rights organization the Mattachine Society which was founded in 1950 by Harry Hay who lived in a house nearby. 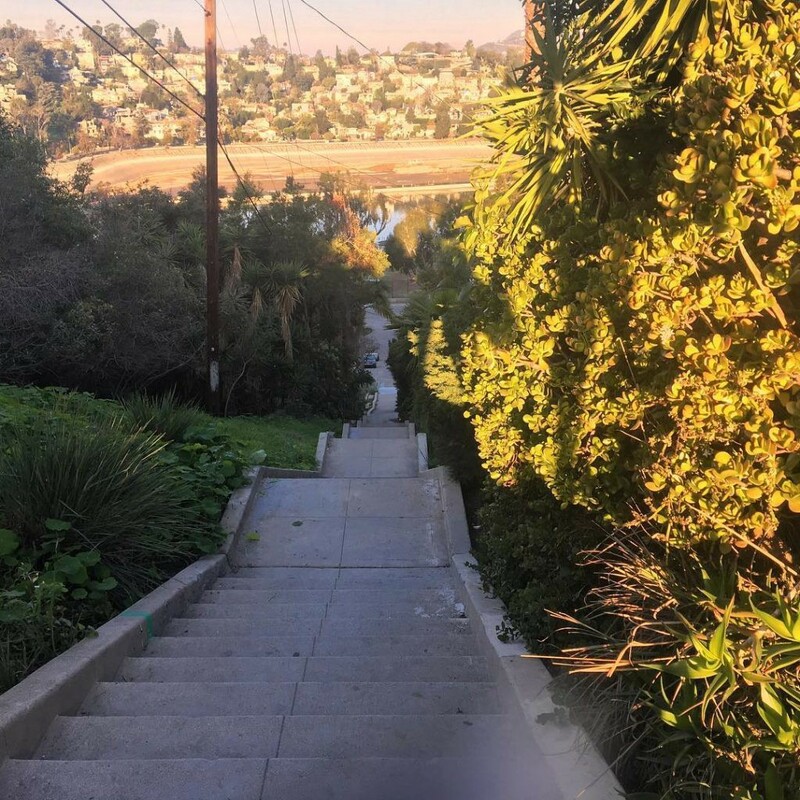 Not only do these stairs serve as a memorial to this pioneering force in the gay rights movement, but you can also catch a great view of the Silver Lake Reservoir below! Location: 2355 Cove Ave, Los Angeles, CA 90039. See it on Google maps. If you’re a fan of Raymond Chandler’s The Long Goodbye, then this is the stairwell for you! 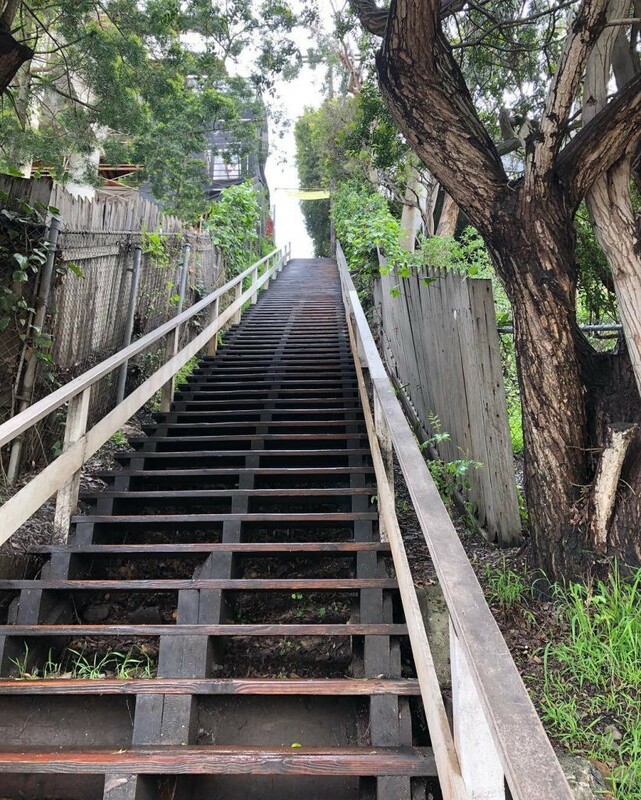 Back in the day, early developers and municipal city planners built these stairs so that people who lived in the hillside could reach businesses, schools, and public transportation — but then, you know, cars happened! Location: High Tower Dr & Los Altos Pl, Los Angeles, CA 90068. See it on Google maps. If you’re looking for an intense work-out, these sets of stairs are probably your best bet! 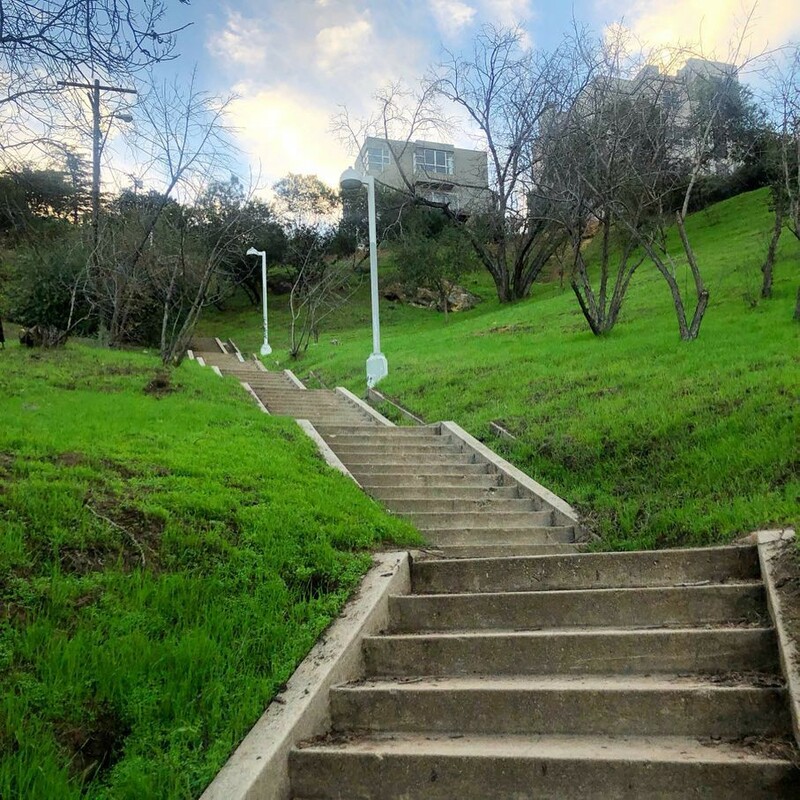 It’s a 231-step climb from the bottom of Baxter Street up to Elysian Park, with stunning views of the DTLA skyline and hills of Hollywood and Glendale. Location: 2100 Park Dr, Los Angeles, CA 90026. See it on Google maps. Not only will you get a great work out in, but this place is also ‘grammable! 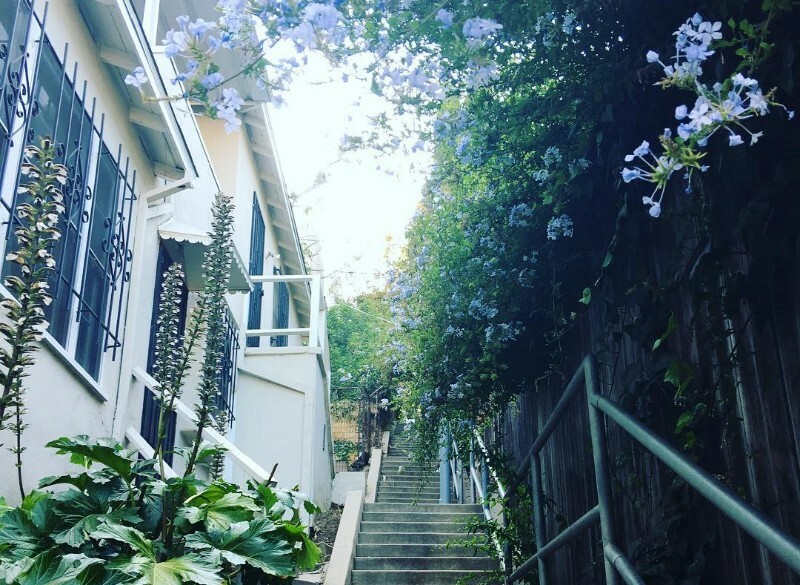 Not only were these stairs made famous by the 1932 Laurel and Hardy film The Music Box, it’s painted with vibrant colors giving you to perfect motivation to run up and down them as many times your workout session calls for! Location: 923 N Vendome St, Los Angeles, CA 90026. See it on Google maps. Originally published at Secret Los Angeles.